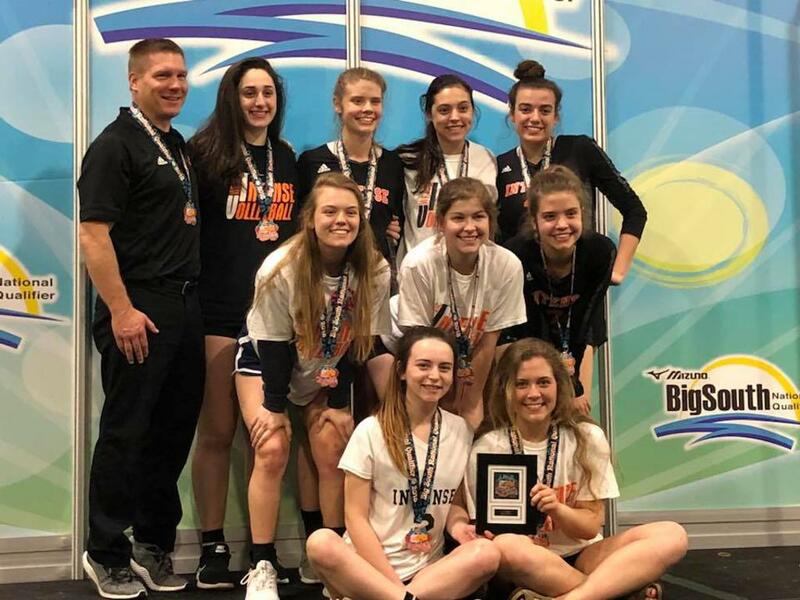 The 17 Adidas Elite Jerry team is looking for a National Bid to the USAV Girls Jr. National Championship Tournament in Detroit this summer. The team won second in the Palmetto Regional Championship tournament in 2017 and are looking for a first place finish this season. 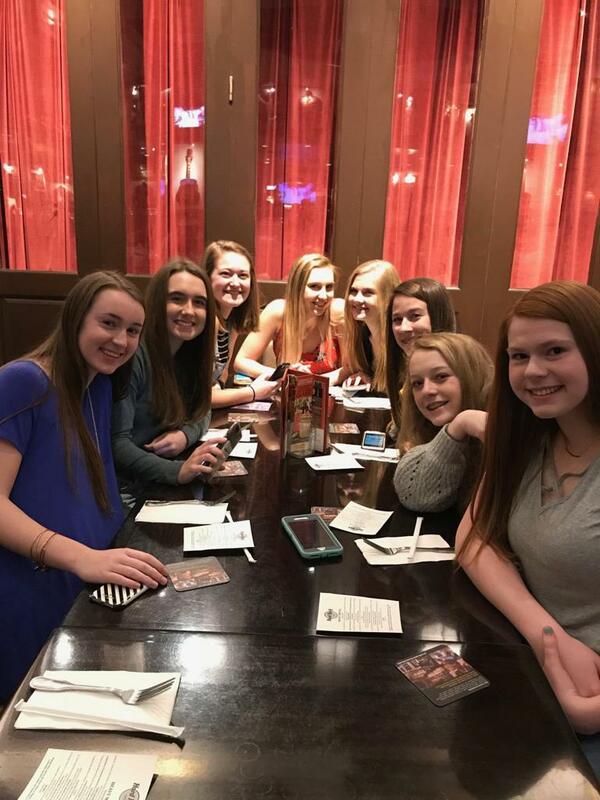 In order to reach the goal of USAV Nationals the team has practiced hard and played many high level tournaments with great teams. 17 Adidas Elite finished 2nd in Gold in the Queen City Classic. Coach Jerry and the players were looking forward to a competitive tournament schedule at the Big South Qualifier in Atlanta. 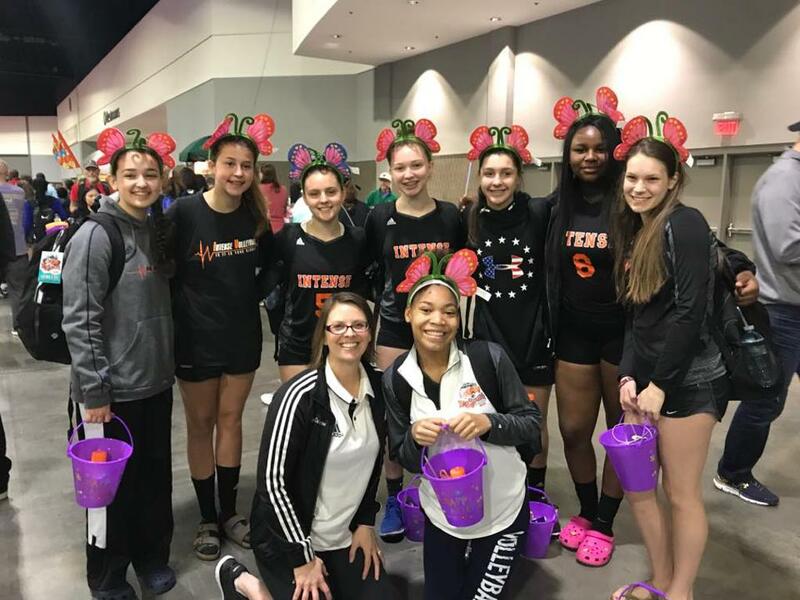 They were looking to win the Gold division thus ensuring their trip to USAV Nationals. Their exciting journey began on Friday when they team went undefeated. Many Intense fans were able to watch the excitement as the game were streamed live on Facebook. 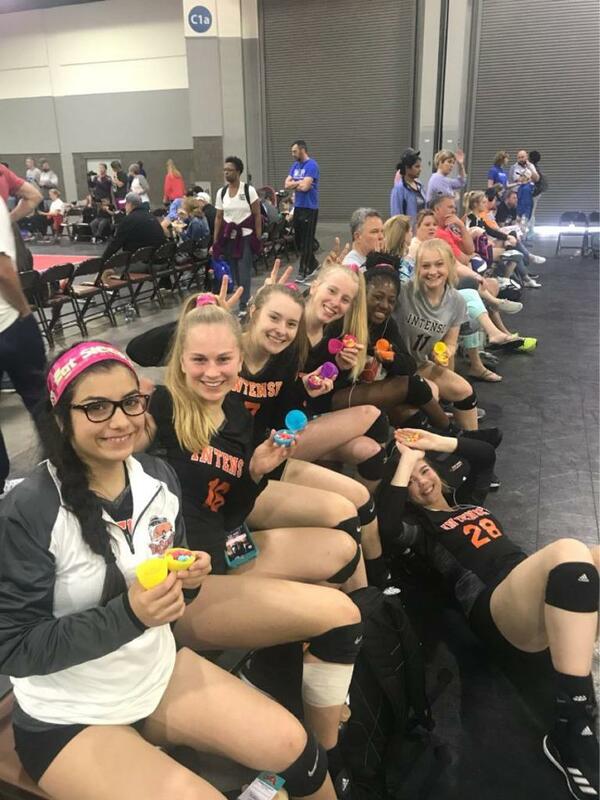 The fun continued on Saturday as the 17 Adidas Elite Jerry team again went undefeated and had not even dropped a set! Under the leadership of Coach Jerry, the players worked hard to overcome sickness and showcased their teamwork to bring home each win. 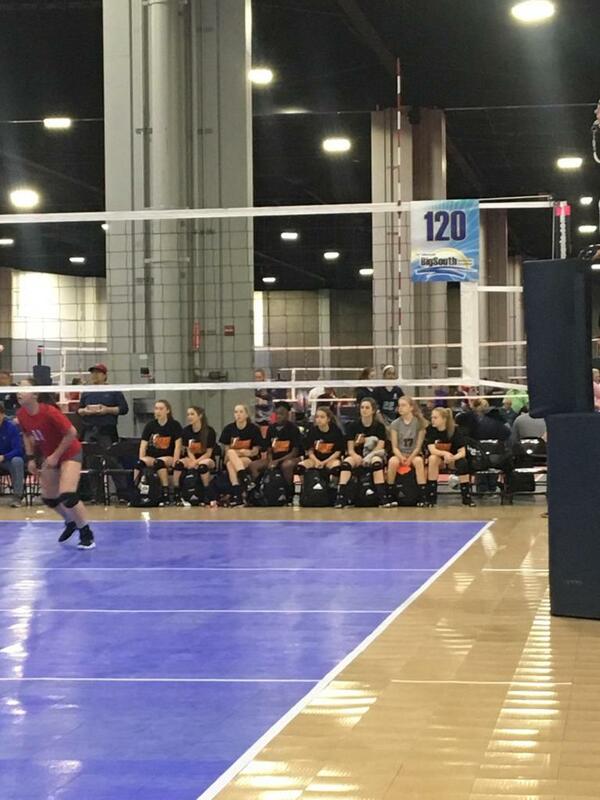 The excitement grew on Sunday as the Gold bracket play began with the way too early 8:00 game. 17 Adidas Elite Jerry brought home a win against A5 to move on to beat Cobb Atlanta and Metro-Atlanta to reach the gold semi-finals. Intense faced JJVA Team Rox 17Nick and won the first set 25-9. Team Rox made some adjustments and came back to win the second set 20-25. Fans all over were clinging to the edge of their seats watching live on Facebook to see 17 Adidas Elite Jerry pull out the win. Through a hard fought match Team Rox took the win and moved onto the finals. 17 Adidas Elite Jerry then went on the sweep Allegiance 17 Royal for a third place win. We are so proud of Coach Jerry for the leadership of the team, for each player who gave it their all to play great team volleyball, for the parents who spent Easter weekend watching their daughters play some amazing volleyball, and for all those who watched and cheered on the team. The support from Intense teams in Atlanta, parents, family, and friends makes Intense Volleyball truly a family. We all work together to support the players on and off the court. 15 Adidas Elite Catherine "Six Pack"